Spring Valley Band and Color Guard members who have shown the utmost dedication will have an opportunity to earn an Award Letter in Band. There will be two different sets of criteria - one for winds and percussion, and one for color-guard members. Band students may apply for a star if they have previously received a letter. 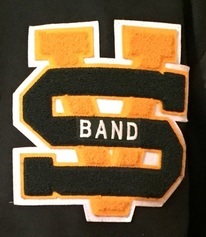 Follow the link below for information on the Merit Points required for earning your Varsity Band Letter. Points may be earned for participation in Viking Band, various school ensembles, outside clinics, private lessons, audition opportunities, meeting 100% of Fair Share fees, and more. 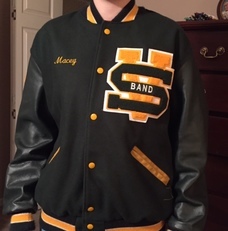 Varsity letters will be awarded to deserving students at the Spring Band Banquet in May. The application is due by May 14, 2019.